March 25, 2013 – Hyperlite Wake Mfg. has added a new venue for 2013, bringing their Hyperlite Experience to Northern California. Taking place after Memorial Day weekend, The Hyperlite Experience will join Big Wake Weekend, “California’s Premier Beach Picnic & Party combining Culture, Sport & Entertainment” on beautiful Folsom Lake just outside of Sacramento, CA. 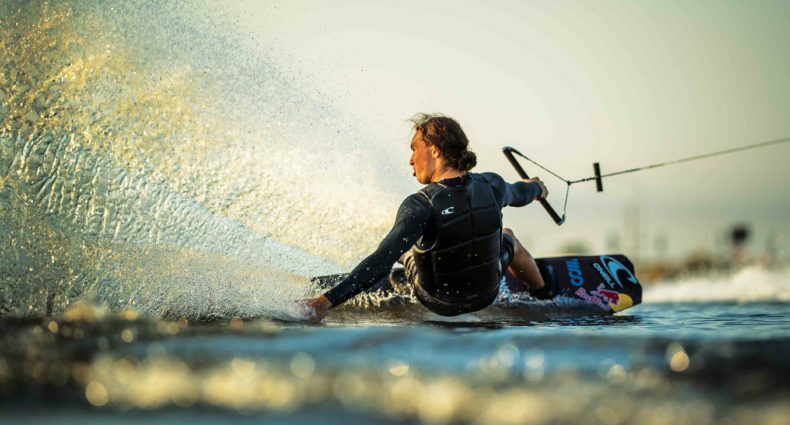 Hyperlite plans include the Endless Ride Cable (ERC) Infinity 2T System, the first wakeboard cable system designed and manufactured in the US, as well as boats from their fleet of all-new Super Air Nautique G23s, the vessel that has redefined what a wakeboard boat can be. The 3-day event will include World Class Wakeboarding demonstrations by members of Hyperlite’s Pro Team, as well as many of their local Northern California Riders. In addition to an amazing wakeboard show, the Hyperlite Experience is focused on growing the sport & lifestyle, so Hyperlite will offer rides to select ticket holders throughout the weekend with a goal of adding at least 25 new riders a day to the wakeboard scene. The Hyperlite Experience and Big Wake Weekend will be at Folsom Lake State Recreation Area – Granite Bay May 31 to June 2. More details and information on how to be selected for the Hyperlite Experience rides will be posted on Facebook.com/HyperliteWake & Bigwakeweekend.com.